Announcement Thank you for visiting Fuzzy Cactus Yarn! I am a work at home mom to 5 kiddos, and I am an avid knitter and crocheter with a love of color! 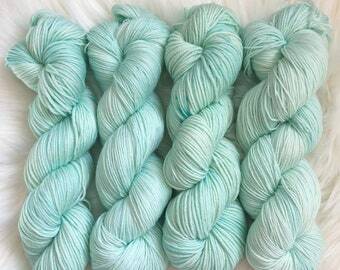 Fuzzy Cactus Yarn was established in 2016 when I decided to jump into dyeing my own yarn after never find quite what I wanted elsewhere. I enjoy all things neon and glitter, and when I'm not playing with yarn, I am probably enjoying a cup of coffee and reading a book! 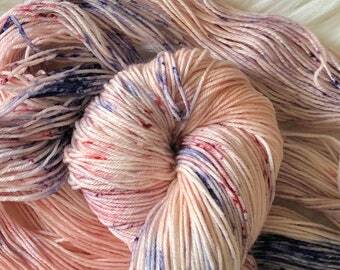 All in stock yarn ships in 2-3 business days from Southern Arizona! Don’t see what you’re looking for? Need a sweater quantity? Please message me for a custom order! Thank you for visiting Fuzzy Cactus Yarn! I am a work at home mom to 5 kiddos, and I am an avid knitter and crocheter with a love of color! Fuzzy Cactus Yarn was established in 2016 when I decided to jump into dyeing my own yarn after never find quite what I wanted elsewhere. I enjoy all things neon and glitter, and when I'm not playing with yarn, I am probably enjoying a cup of coffee and reading a book! Stitch Marker and Progress Keeper Grab Bags! Great kit the pattern, yarn, and progress keeper are lovely. I can’t wait for another one! Soft and slightly nuanced color - warm and lovely. Four of the colors I ordered are complimentary, unexpectedly, and I’m now looking forward to combining them. Shipped quickly and very well packaged. Dark and moody color. Will combine well with other colors. Shipped quickly and very well packaged. 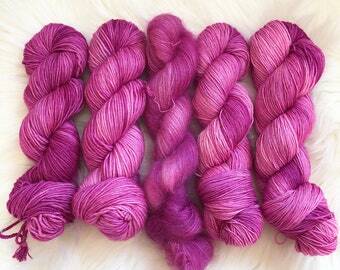 Great color (and variation in this skein). Brighter cheery. Shipped quickly and very well packaged. Fun and quirky yarns for the maker in everyone! Thank you so much for stopping by! I am a stay at home mom to 5 kiddos! My family and I live in Southern Arizona, and you will notice I have a lot of colorways inspired by the beauty of the Sonoran Desert. 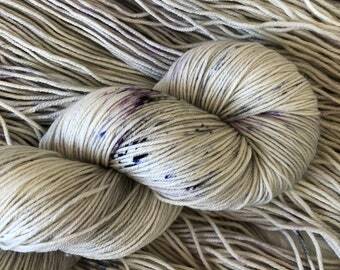 I have been dyeing yarn since 2016, and this is our family business! Thank you so much for your support! 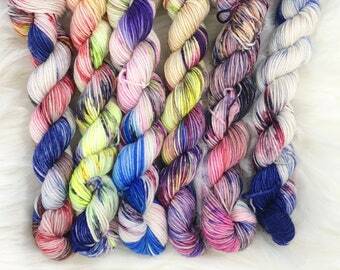 Hi, I am Catie and I am the designer behind Fuzzy Cactus Yarn! I live in Arizona with my husband, 5 kids, 2 cats and dog! I have been knitting for 7 years and dyeing for 2! I love making beautiful things! Vinyl applications to almost anything! Sundance Craft Company designs high quality vinyl decals in Kingsland, GA.